Size's - 305mm, 458mm 610mm. 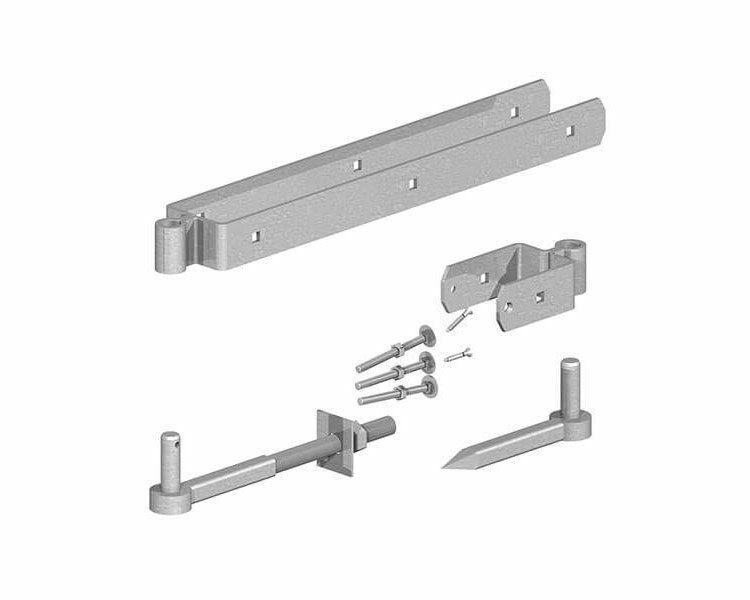 Medium weight straight double strap hinge to fit 75mm gates 305mm top hinge with loop. 150mm double strap bottom. Supplied with 19mm hook to bolt for the top and hook to drive for the bottom. 305mm suitable for standard field gates up to 1200mm width. 458mm suitable for standard field gates up to 1800mm width. 610mm suitable for standard field gates up to 3600mm width. Pre-packed in sets complete with fixing screws and bolts.